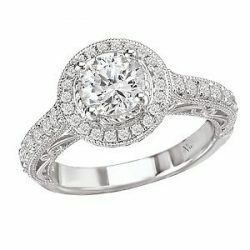 When you are looking for gorgeous jewelry and custom engagement rings, look no further than San Anthony Jewelry & Formal. We are proud of our team of knowledgeable experts who can assist you with shopping, repairs and any other jewelry needs you might have. Stop by and browse our wide collection of beautiful jewels today! From classic styles to unique looks, our jewelry is hand-selected from the finest pieces of brand name collections. We carry diamonds, opals, rubies, pearls and more from which we can create custom jewelry for any occasion. 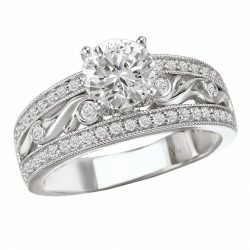 Customize your engagement ring and his and her wedding ring sets with our loose diamonds and gorgeous settings. From platinum to white gold to sterling silver, you’ll find the perfect look. In addition to our lovely jewelry, we also offer jewelry and watch repair here in New Braunfels, TX. Jewelry Store, Jewelry Maker, Watch Repair, Engagement Rings, Bridesmaid Gifts, Jewelry Repair, Custom Jewelry Design, Engagement Rings, Jewelry Stores, Custom Jewelry Engraving, Groomsmen Gifts, Jewelry Appraisal, Tuxedo Rental and much more.